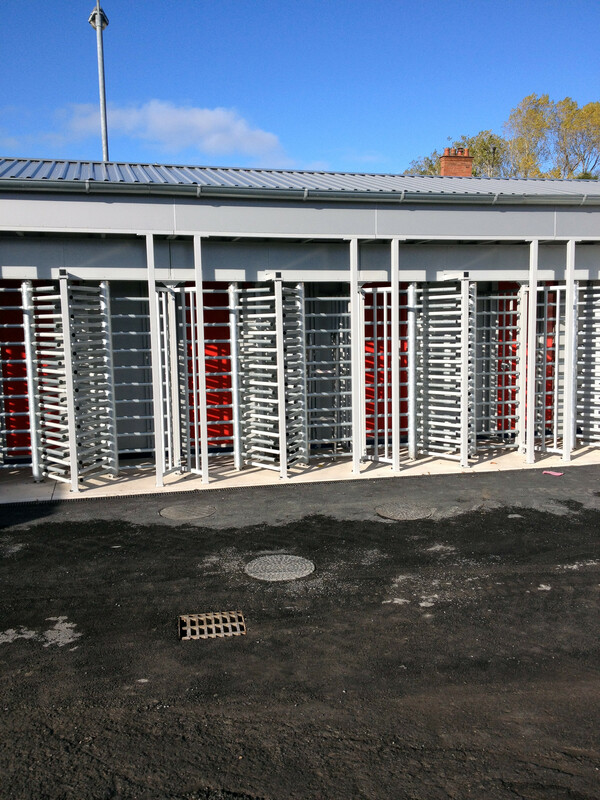 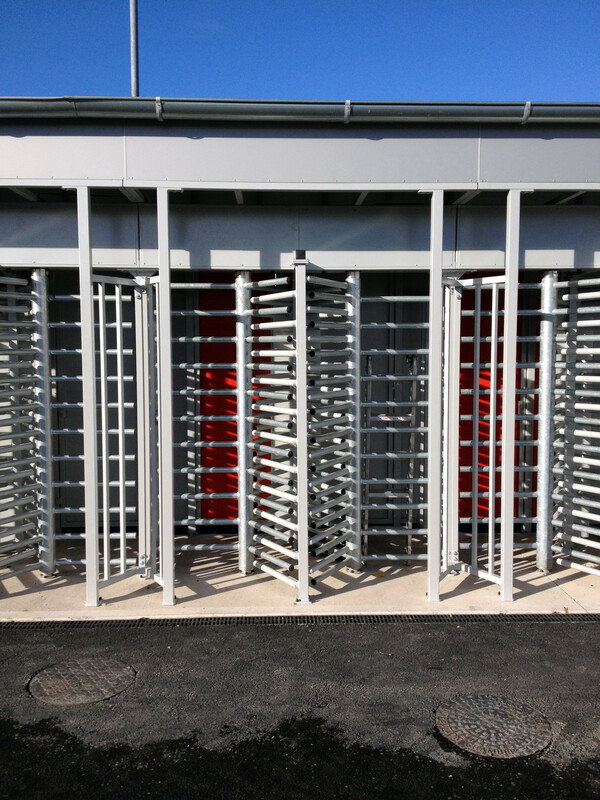 Advance Systems were awarded to contract to design & build 2 blocks of turnstiles including lockable front doors along with an aluminium clad roof with associated drainage and guttering. 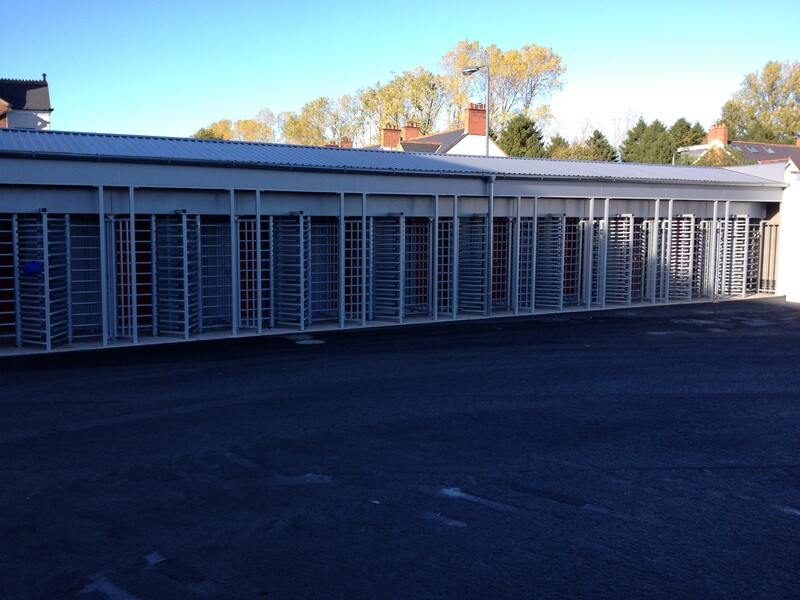 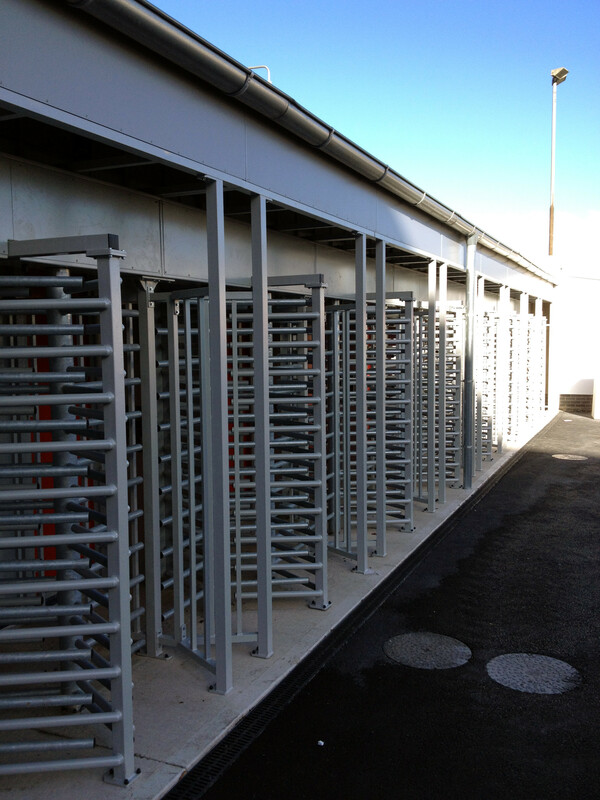 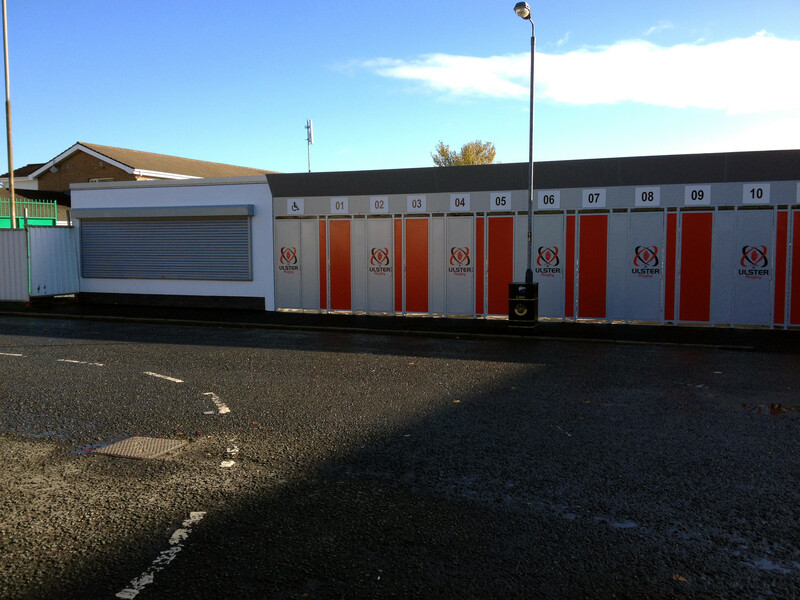 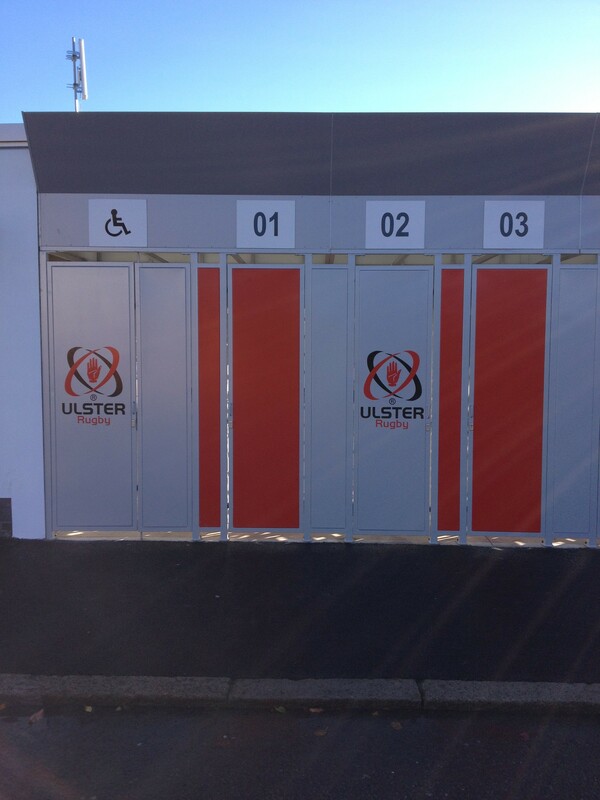 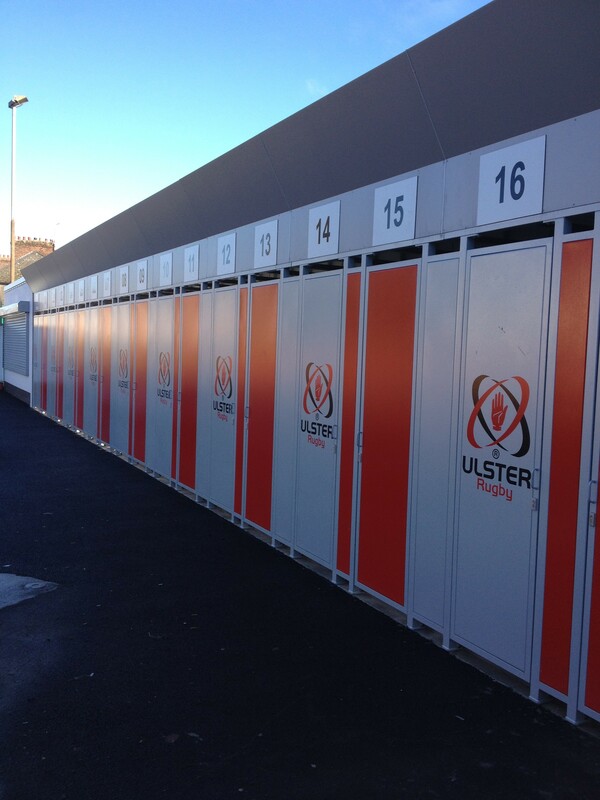 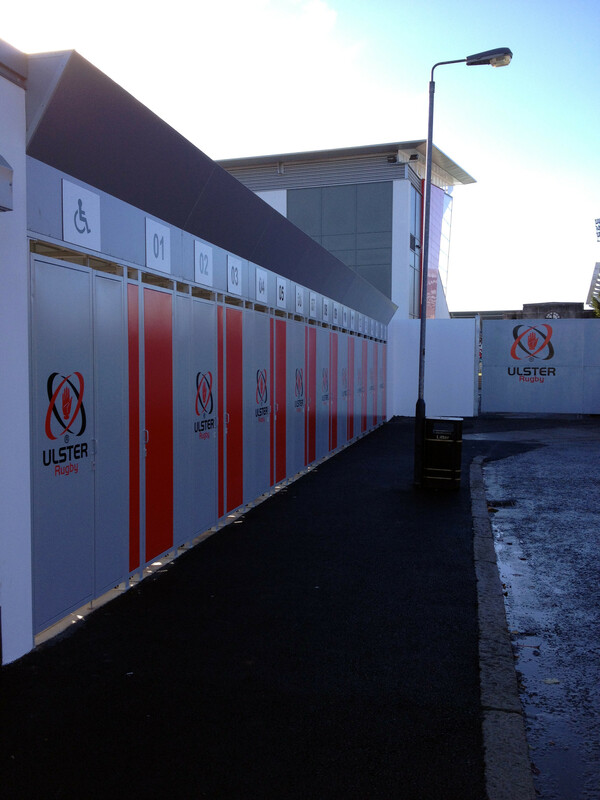 Both blocks make up a total of 32 Full Height Stadium Turnstiles with 2 additional wheelchair accessible gates. 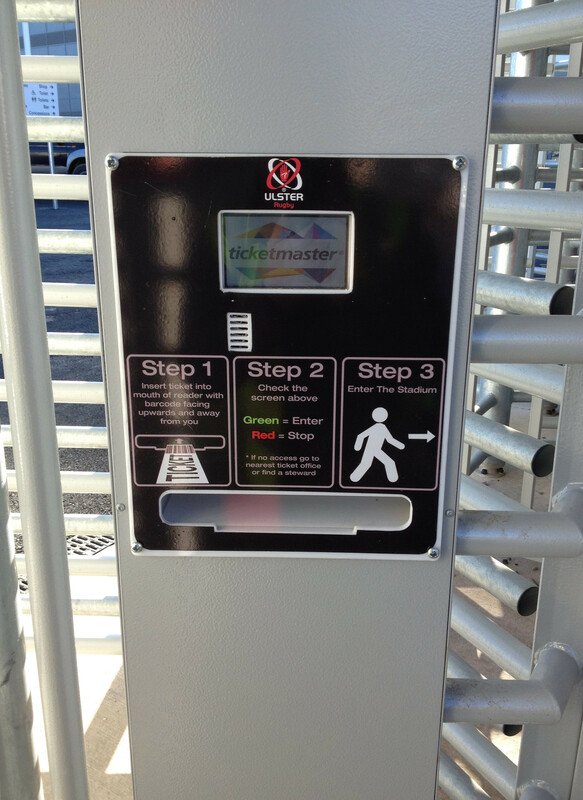 The ticket admissions systems was supplied by Ticketmaster and we worked closely with them provide a custom built housing to allow them to flush mount their terminal into the column of the turnstile.